Color is perceived because the cones in the retina come in three types which are: cone reacts to primarily blue light (short wavelengths), reacts to primarily green light (medium wavelengths), reacts primarily to red light (long wavelengths). What color we see depends on the mix of the signals from the three types of cones. 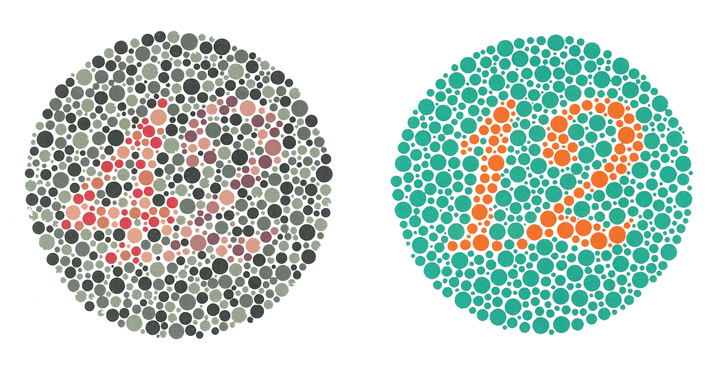 Different functions are apparent in those who are colorblind, the inability to detect either green or red colors. It is related to what we learned in class about color deficiency.